Coming together for a third time, Skepta and Nike are now preparing to release their highly-anticipated Air Max Deluxe SK collab. 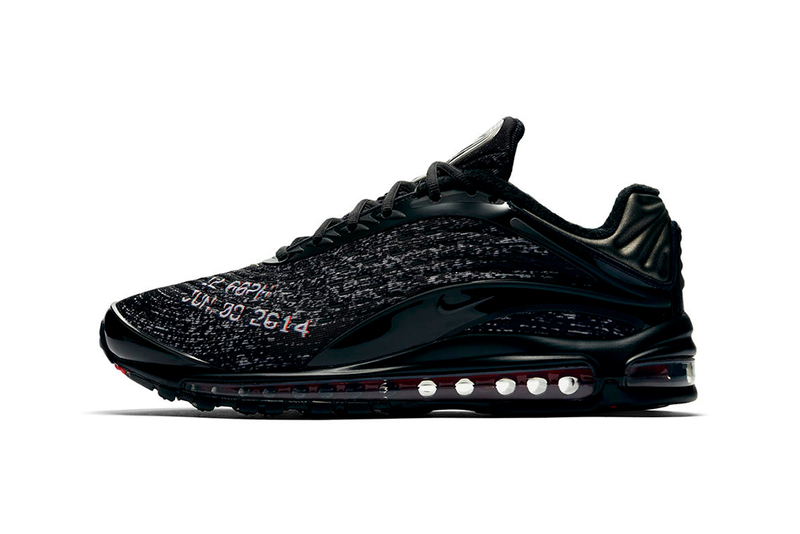 Offering his interpretation of the 1999 Nike Air Max Deluxe, Skepta put together a tribute to New York City’s role in his career trajectory as an artist. Honoring his relationship with the city, the Air Max Deluxe SK features a black neoprene base expressing a VHS static pattern decorated with “NEVER SLEEP ON TOUR” and “12:05 PM JUNE 08 2014” OSD mono font text. The text on the upper of the shoe commemorates the time and date Skepta released his breakout single “That’s Not Me” and reveals an ethos that informs his work ethic. Rounding up the design of the shoe is the contrasting dark red tinting found on the full-length Air unit sole system that elevates the upcoming release. Probably the most fun thing Nintendo has ever created. Stream the first season on HBO now.